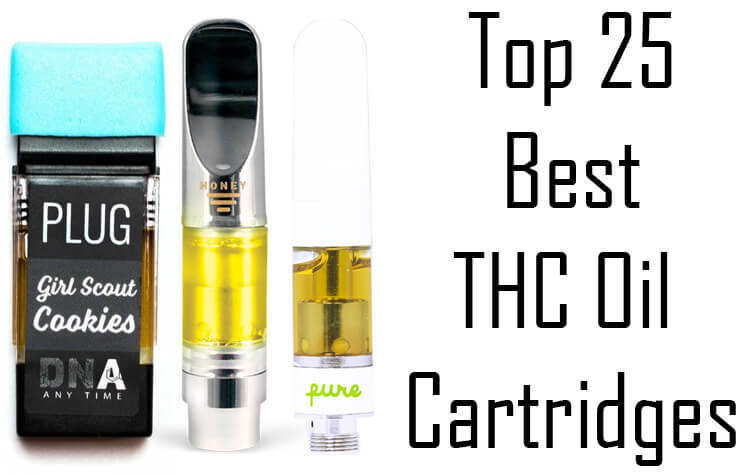 A lot of people are fans of Heavy Hitters cartridges because of its 2.2-gram size cart. 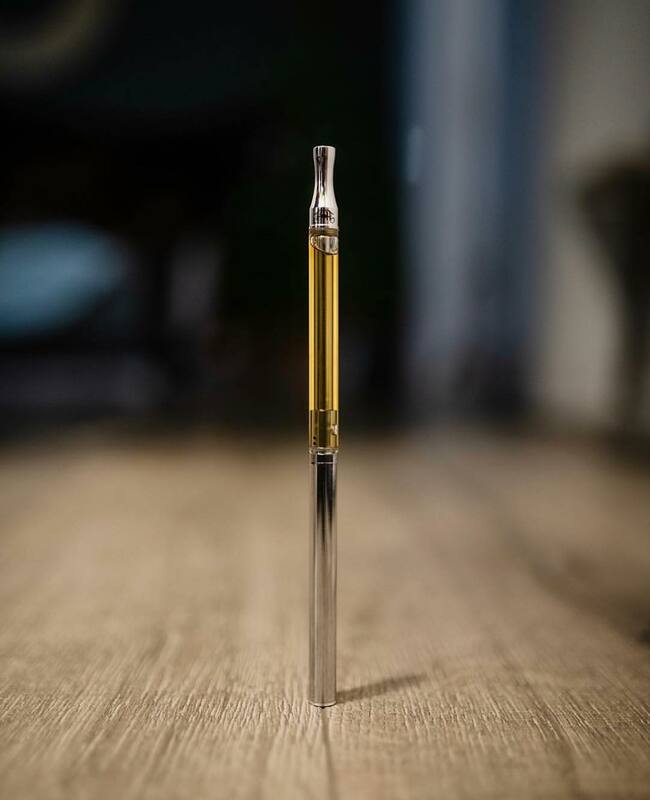 There is no other prefilled cartridge with such a big cart. Typically the price for this vape cartridge saves you money on THC oil, but it depends on the dispensary you purchase it. I was able to save money buying this 2.2-gram cartridge from Heavy Hitters and it lasted me a long time. Another reason this cart brand is loved so much is because of the high THC content and flavorful selection of strains. While their current vape cartridge hardware may take some good hits, a CCELL cartridge would provide even better hits. We hope Heavy Hitters updates their cartridges with the more improved CCELL. Their distillate oil is some of the best tasting out there with medium to high strength. I recommend trying this brand even if they don’t upgrade their carts. Beware of fake Heavy Hitters vape cartridges. 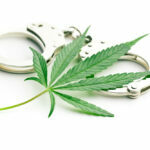 These fakes most likely have much lower content THC and might contain solvents or pesticides. I saw them for sale on the black market for $30 a gram. When I tried it I was amazed that it was the real Heavy Hitters flavor and strength. The Heavy Hitters vape cartridges are some of the best even without them upgrading their vape cartridges to the standard CCELL. I wrote a more in-depth Heavy Hitters cartridge review that gives more details about it. The brand is comparable to the flavors of Brass Knuckles vape cartridges. At the moment you can find 21 different strain options for Heavy Hitter vape cartridges. A gram cost between $50-60 depending on the cannabis dispensary. Another cannabis company that did not start off with THC cartridges. Instead, they are known for their MoonRocks. 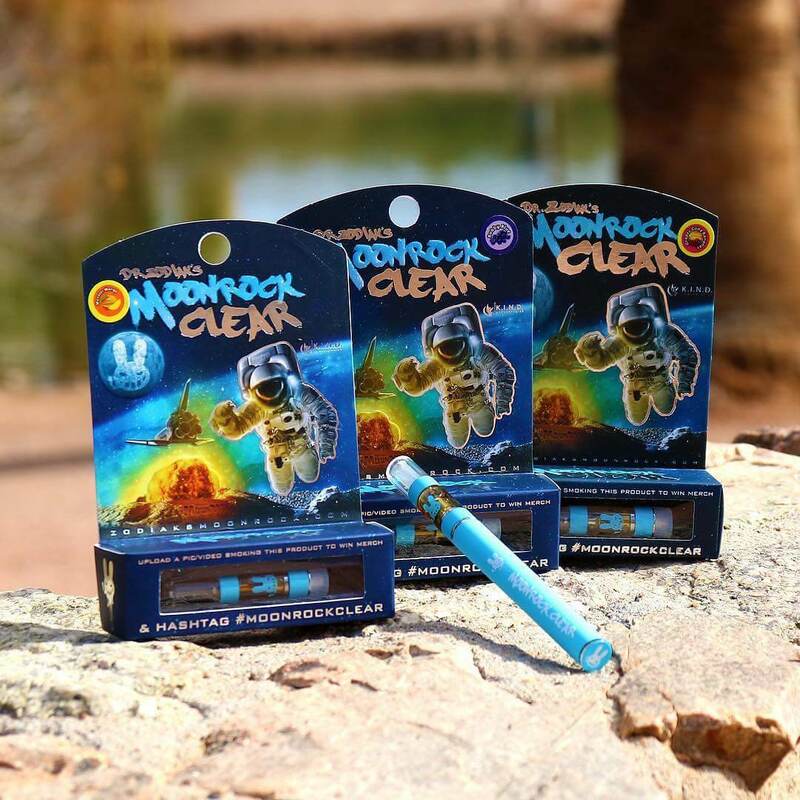 MoonRocks are cannabis flower combined with THC oil and kief. Most online reviews about this brand are positive. However, there are some negative reviews about Moon Rock cartridges too. This company listened to their customer’s complaints and recently made the switch to CCELL cartridges. Moonrocks has a nice following of 110k followers on their Instagram account. Some of the best vape cartridges come from Los Angeles and that’s exactly where this brand originates. While there is an astronomical amount of THC oil cartridges failing lab test for solvents and pesticides, Flight Farms comes out clean. The Instagram user @datdude41510 purchased a Flight Farm vape cartridge tested it at an independent lab. He then shared the lab test results revealing Flight Farm cartridges are clean and high in THC content. This brand may have a website but you won’t be able to find a lot of information on there. 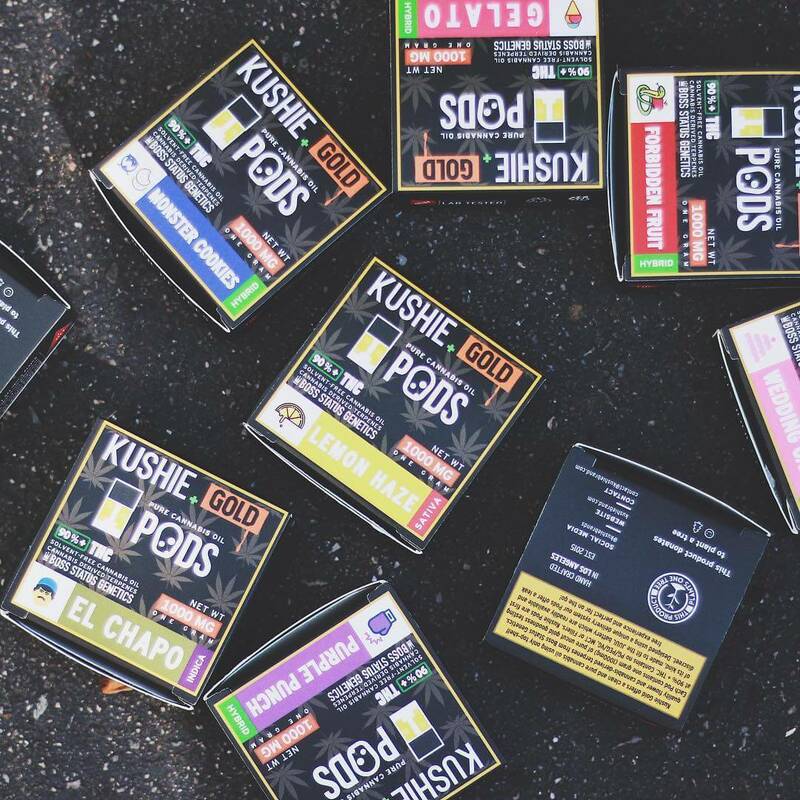 Flight Farms is associated with LA Kush, they are frequently posting Los Angeles Kush vape cartridges on their IG. The current follower count on their Instagram is 13,900. A link to LAkush.com can be found on their Instagram too. Its important to mention that LA Kush cartridges have been tested for pesticides. This cannabis company started off with edibles and branched off into prefilled cartridges. While their edibles were nothing special they made up for it with their prefilled hash oil Juul pods. They claim to have up to 90% THC in their Juul pods. Unfortunately, Kushie brand has not released any lab tests to prove their THC oil is indeed what they claim it to be. They also have standard prefilled 510 cartridges. The Weedmaps reviews about their prefilled carts are outstanding. They have a small following and brand awareness with only under 5,000 Instagram followers. The idea of refilling a Juul pod originated from Reddit. You could say people were on the search for the best vape cartridge for THC oil when they refilled a Juul pod. This idea became reality when the Kushie brand decided to sell prefilled THC oil Juul pods. If you’re a fan of BHO extracts you’re going to love Orchid Essentials. Using butane to extract hash oil from cannabis maintains the plant’s natural terpenes. One gram of Orchid Essentials contains 15% terpenes. I really like the vape cartridge design and the packaging is also very nice. However, when it comes down to what’s important, and that’s proof their hash oil is clean, they make it easy to find out. You can enter your batch number on their website and you will be able to see the lab results. This should be the industry standard! Orchid Essentials would be ranked higher on our list of best-prefilled vape cartridges but they are still using cotton to vape their THC oil. 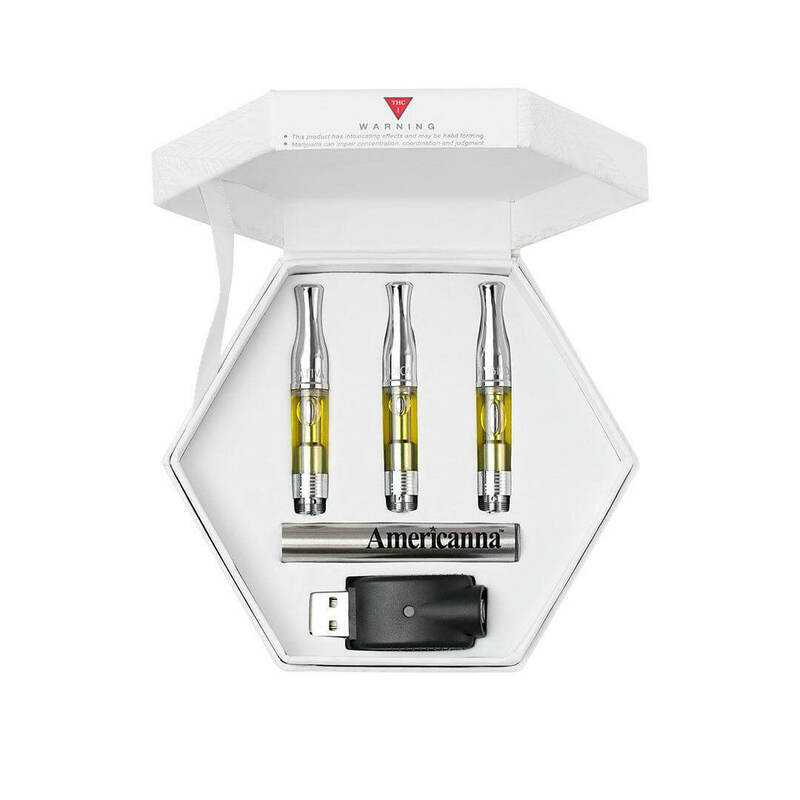 They may have a cool looking vape cartridge but it needs to be replaced with the new standard CCELL cart as soon as possible. Their high amount of terpenes is also not as smooth to smoke as most of the oil of their competitors. This is an Oregon hash oil cartridge company that is barely arriving in California dispensaries. This is a must try if you don’t mind the cotton wick and you will also have to pay a price that’s slightly above average. Looking for true high-quality THC oil? 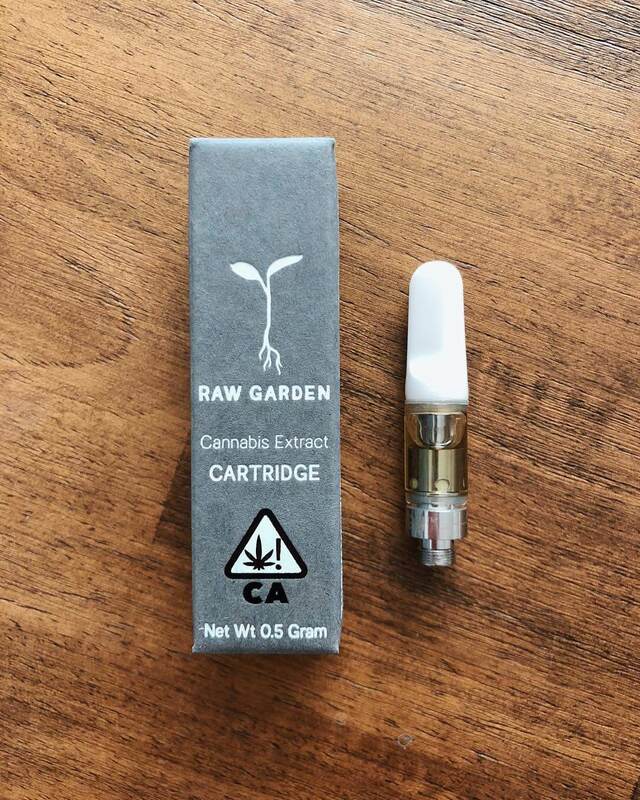 Raw Gardens provides a top of the line cannabis oil in their prefilled vape cartridges. Unlike many others who use trim and artificial terpenes to cut back on the cost, Raw Gardens only uses premium flower and natural terpenes. Frozen cannabis material is blasted to achieve the best vape cartridge filled with live resin on the market. 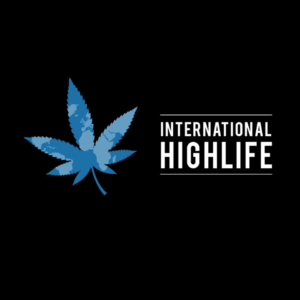 This is a brand that focuses on creating the best THC oil for vape cartridges. 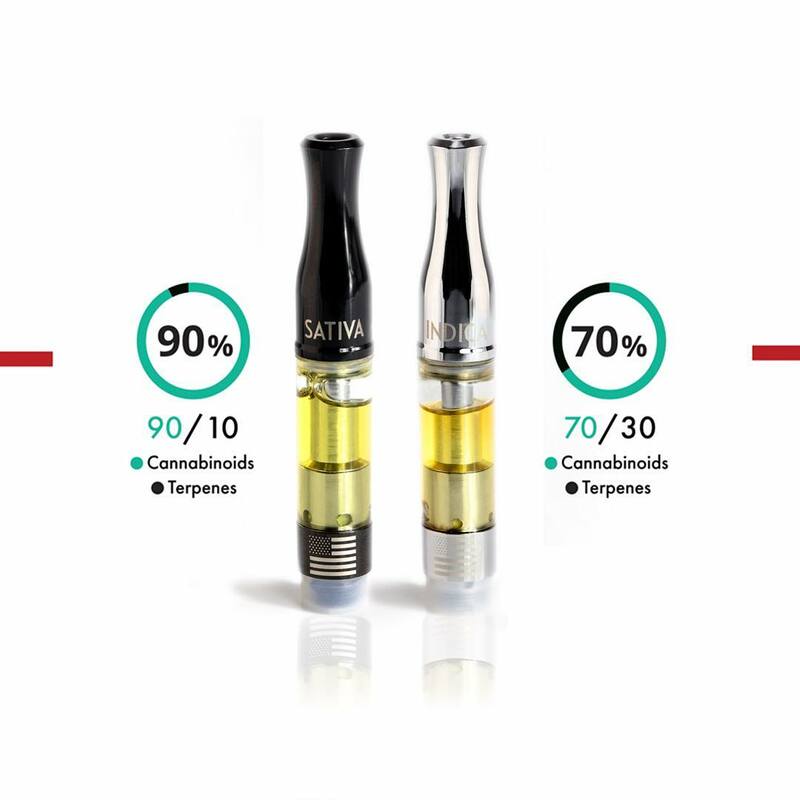 The high also will last longer than other cartridges that are manufacturing THC oil from crude and trim. 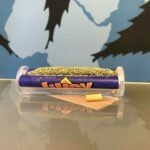 There is a surge of high-quality THC cartridges in California and Raw gardens is just one of many that have surfaced. They have a modest following right now with 16,500 followers on Instagram. Observe the major improvements from O Pen Cartridges with much bigger holes to heat the THC oil than Brass Knuckles vape cartridges. Another vape cartridge brand that has made leaps in improvements to both their cannabis oil and cartridge. O pen did significantly improve the previous cart design and functionality. They now use a CCELL cartridge. They are also using distillate that ranges up to 80% THC on average. 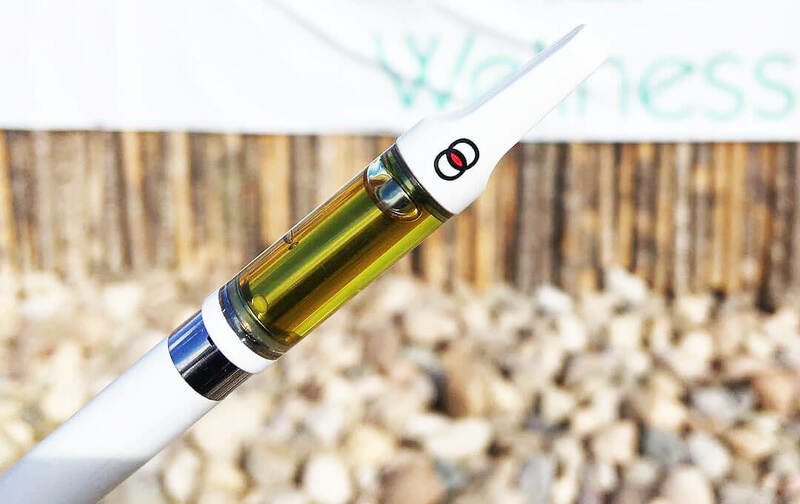 This combination of the CCELL vape cartridge and high-quality distillate enriched with tasty terpenes has allowed O Pen to become one of the best vape cartridges. These new prefilled carts from O Pen are a huge jump in quality and vaping performance. Their first generation cartridges use wick and are not good at vaping cannabis oil. Currently, O Pen has 44,000 Instagram followers and they do not have a Weedmaps page. 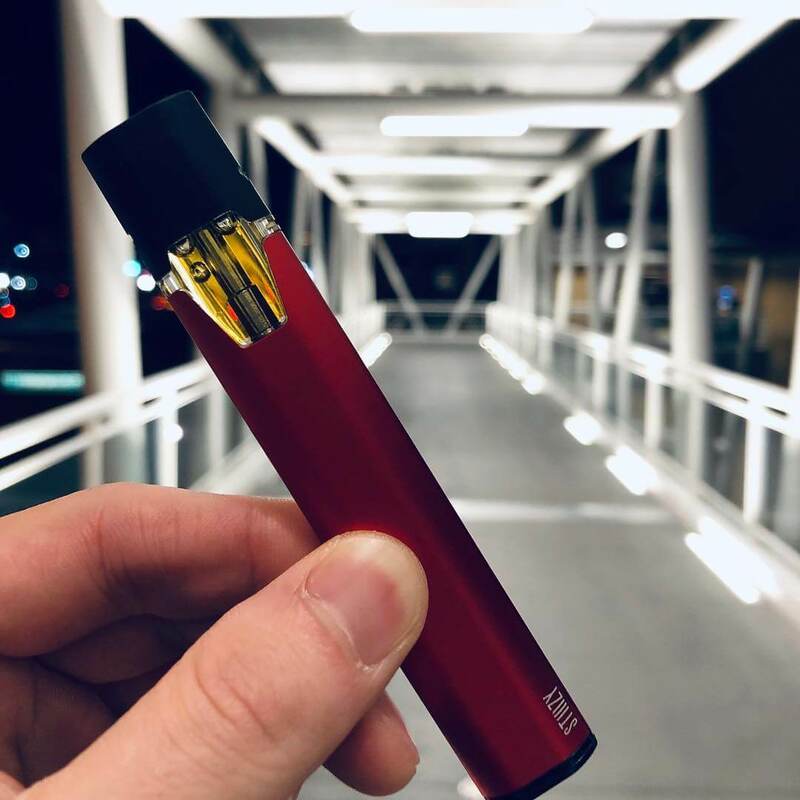 The Stiiizy pods became popular because they first started with high-quality distillate. Stiiizy used to have their THC oil nearly clear like water and it hit super strong. The first version of Stiiizy THC oil would have gotten a much higher score. Unfortunately, they lost their number one spot because of a couple of factors. One factor is that they got exposed for having lower THC content and benzene. It’s also been proven that the half gram Stiiizy pods are not true half gram pods. 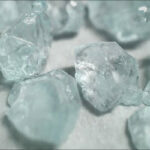 They are instead measured to be below half a gram, approximately 400-450mg. 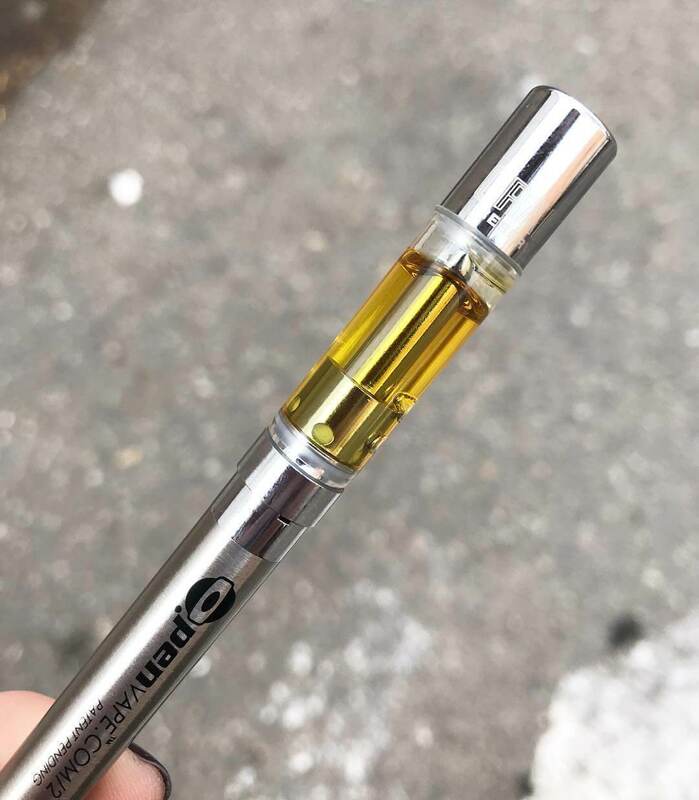 Stiiizy also has their THC oil available in syringes which can refill empty vape cartridges. I refilled a CCELL cartridge with Stiiizys Blue Dream and it wasn’t pleasant to vape. I can see now why they use their pods because vaping their cannabis oil with a CCELL cartridge was bad. I purchased Stiiizy pods many times until I noticed their strength got weaker and the taste of the THC oil changed as well (not in a good way). Stiiizy has 137,000 Instagram followers at the moment. Their compactness and ability to get you really high quickly is the reason behind their success. This cannabis oil is distilled three times and loaded into a CCELL vape cartridge. The overall rating for The Bloom Brand cartridges on Weedmaps is an impressive 4.6/5 from 188 reviews. This brand is only available in a few States – California, Washington, and New Mexico. Fortunately, I was able to try it because I live in California and it was a treat to vape. 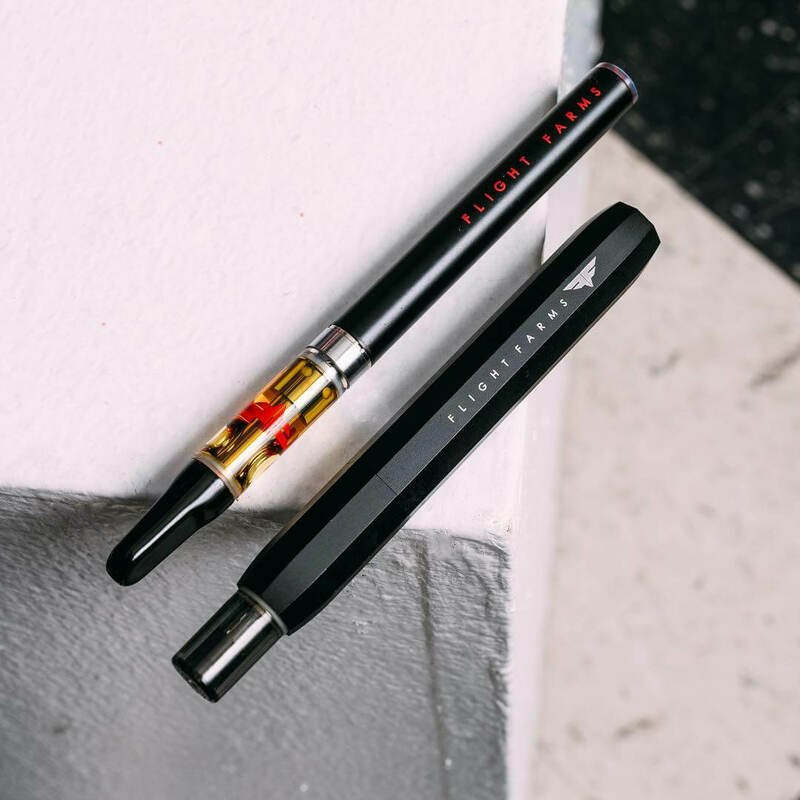 The Bloom Brand cartridges won’t leave you chasing after the high like so many other carts will do. The Bloom Brand currently has 16,000 followers and growing on their Instagram. They are not perfect and have flaws that affect them from being the best vape cartridge in 2019. There are people reporting that this prefilled cartridge can malfunction and cause the THC oil to taste like burned plastic. 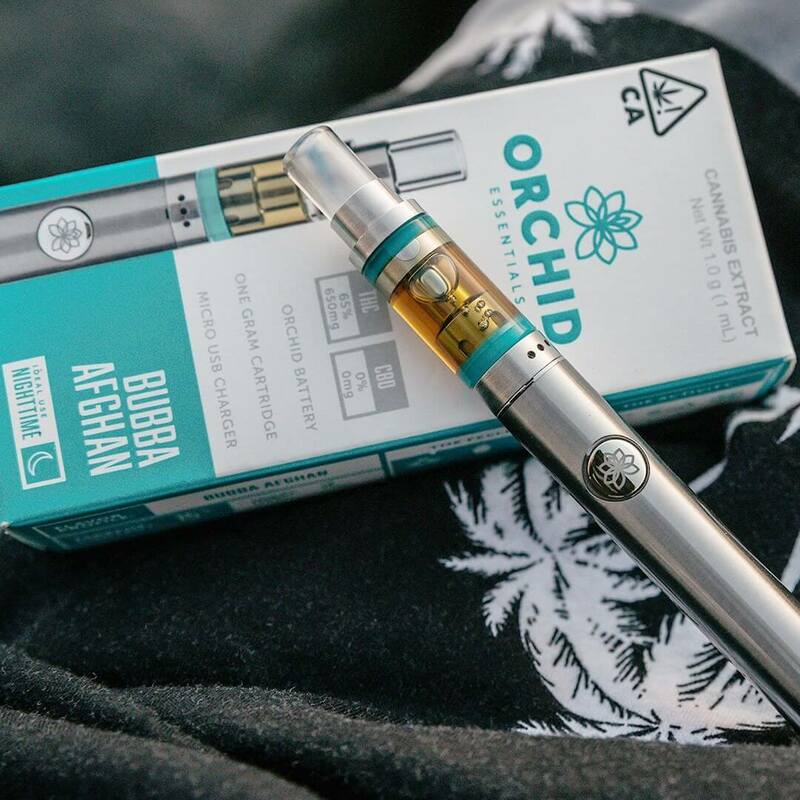 We did not experience anything negative while vaping the Bloom Brand cartridges. This is the perfect vape pen for everyday use and some say it can replace your dab rig. Americanna uses a special extraction process to produce their oils. It all starts with a CO2 extraction. After the extraction the oil is gets winterized. 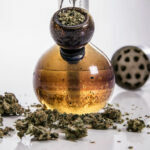 The oil is then heated under reduced pressure to cause the THC and the other cannabinoids to vaporize and separate from less desirable compounds. They also publish lab reports on their website. Americanna currently offers two different oils. One contains 50% THC and 30% terpenes. This oil is perfect for anyone who’s not looking for an overwhelming potency but is still interested in a high-quality experience. If you need more THC, you should go for their second option which contains 85% THC and 10% terpenes. Option one will cost you $20 and option two $30 for 500ml, which is an excellent price for what you get. Are you ready for the top 5? Let’s go!